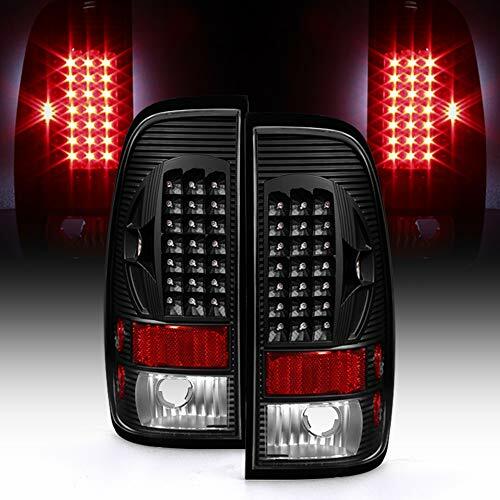 Designed to fit1999-2002 Chevrolet Silverado 1500 | 2500 | 3500LS | LT | W/T1999-2006 GMC Sierra 1500 | 2500 | 3500SL | SLE | SLTStandard Cab | Extended Cab | Crew CabNot Compatible with Old Body Style ModelsNot Compatible with Stepside Bed ModelsOnly Compatible with Fleetside Bed ModelsProduct FeaturePhantom Smoke EditionDark Smoke Lens Matched with a Metallic Chrome Housing.100% Brand New Tail Light Assembly in BoxBoth Driver Side & Passenger Side Included.Reimagined Original StyleA Reimagining of Manufacturer Styling to Bring A That Is Both Stunning And Bright.Same Bulb. 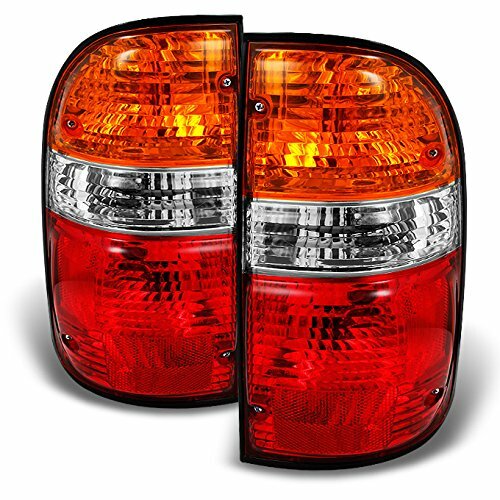 No Rewiring.Just Plug Your car's Bulbs Into Our Tail Light And You Are Ready to Install. 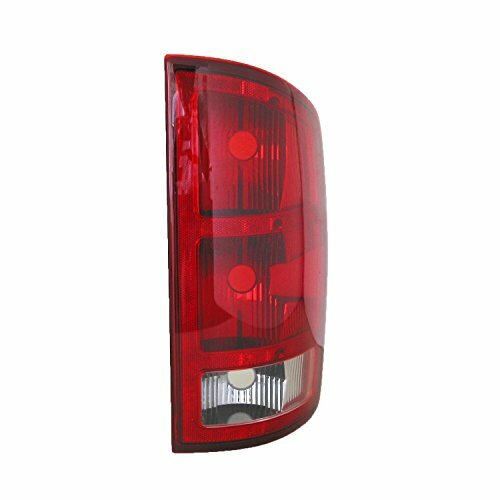 Simple, Quick, Easy.Micro-Prism ReflectorsInternally Design With Small Prisms to be Optimally Reflective And Viewable From All Angles.Triple Layer ProtectionTriple-Layered Coating That Combats The Debris, UV Rays, And Weather Your Vehicle Faces Every Day.Lifetime Replacement Parts WarrantyFree Replacement Parts For You as Long as You Own Our Products. 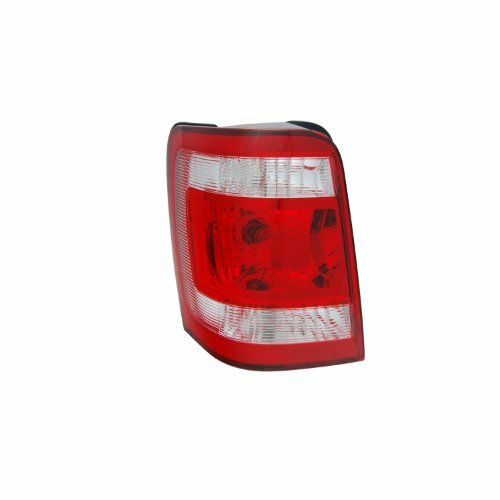 Designed to fit1994-2001 Dodge RAM 15001994-2002 Dodge RAM 2500 | 3500SLT | WS | ST | Laramie | Base | SportStandard Cab | Club Cab | Quad CabNot Compatible with RAM Van Models[2002 Models] Not Compatible with New Body Style ModelsProduct FeatureInfinity Black EditionCrystal Clear Lens Matched with a Matte Black Housing.100% Brand New Tail Light Assembly in BoxBoth Driver Side & Passenger Side Included.Plug And Play. 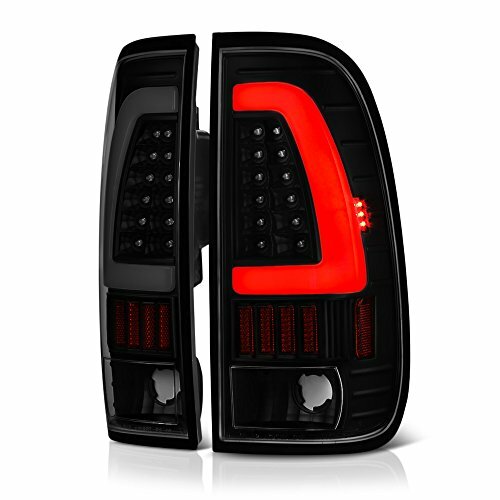 No Rewiring.Just Plug Your Factory Harness Into our Tail Light And You Are Ready to Install. Simple, Quick, Easy.Dynamic OLED DesignThe New Standard In Automotive Light Technology That Produces A Smooth, Yet Intense Illumination.Premium LED TechnologyAdvanced Leds Designed to Refresh Your Vehicle'S Appearance With A Visually Striking Presence.Micro-Prism ReflectorsInternally Design With Small Prisms to be Optimally Reflective And Viewable From All Angles.100% Street Legal, SAE DOT ApprovedUS Department of Transportation and Society of Automotive Engineers Certified Products. Our Products Meet all Regulation Standards in USA & Canada.Triple Layer ProtectionTriple-Layered Coating That Combats The Debris, UV Rays, And Weather Your Vehicle Faces Every Day.Lifetime Replacement Parts WarrantyFree Replacement Parts For You as Long as You Own Our Products. 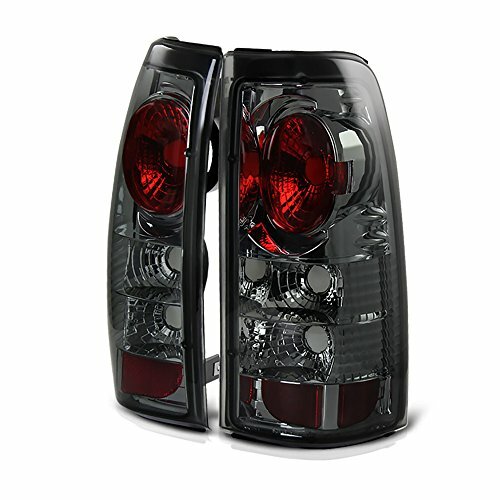 Designed to fit1997-2001 Jeep CherokeeSE | Sport | Limited | ClassicNot Compatible with Grand Cherokee ModelsProduct FeatureRosso Burgundy EditionSmoke Red Lens Matched With A Metallic Chrome Housing.100% Brand New Tail Light Assembly in BoxBoth Driver Side & Passenger Side Included.Generic V.S. 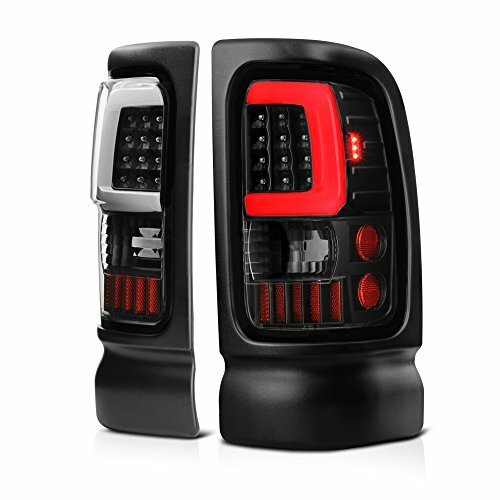 OEM PartsQuality Generic Branded Lights that are Identical to OEM Lights. 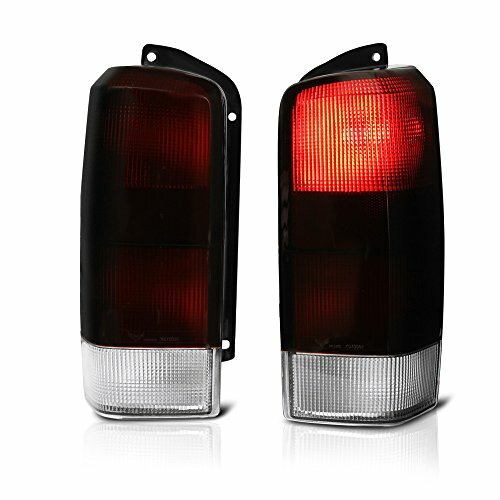 Fairly Priced without Compromising Safety.Micro-Prism ReflectorsInternally Design With Small Prisms to be Optimally Reflective And Viewable From All Angles.Triple Layer ProtectionTriple-Layered Coating That Combats The Debris, UV Rays, And Weather Your Vehicle Faces Every Day.Lifetime Replacement Parts WarrantyFree Replacement Parts For You as Long as You Own Our Products. 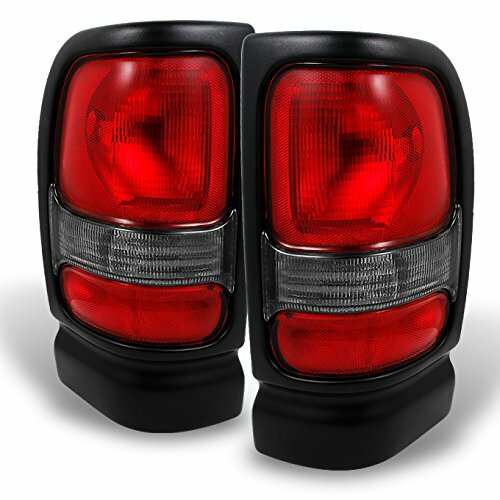 Polishing Up some old tail lights. Do it yourself ! Save money !